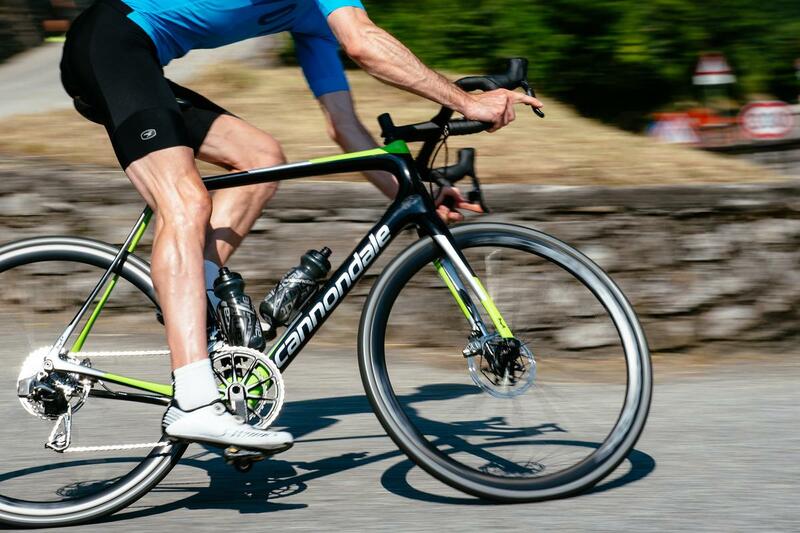 David rides the brand new Cannondale Synapse - lighter, stiffer, more compliant than the previous model - up the iconic Madonna del Ghisallo climb in Italy to see if the new bike is the big improvement the US company hopes it is. You can read all the juicy tech details about the new Synapse here. 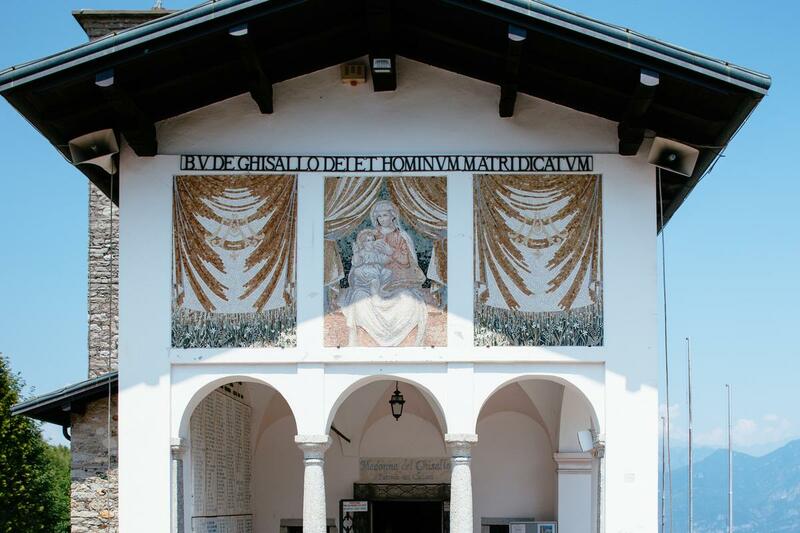 Rising from the shores of the tranquil Lake Como, Madonna del Ghisallo (pronounced Gee-zar-lo) is the only climb I've ridden where I've been overlooked by a patron saint of cycling, and there were times on the steep gradients of this must-ride climb that I was praying for help. Some climbs reveal their scale, magnitude and steepness immediately. You can see the road snaking away up the side of the mountain, the summit a hazy sight in the far distance, an indicator of the impending pain and suffering. There's no hiding from view. The same can't be said about Madonna del Ghisallo which masks its severity from the very bottom and throughout most of its length. 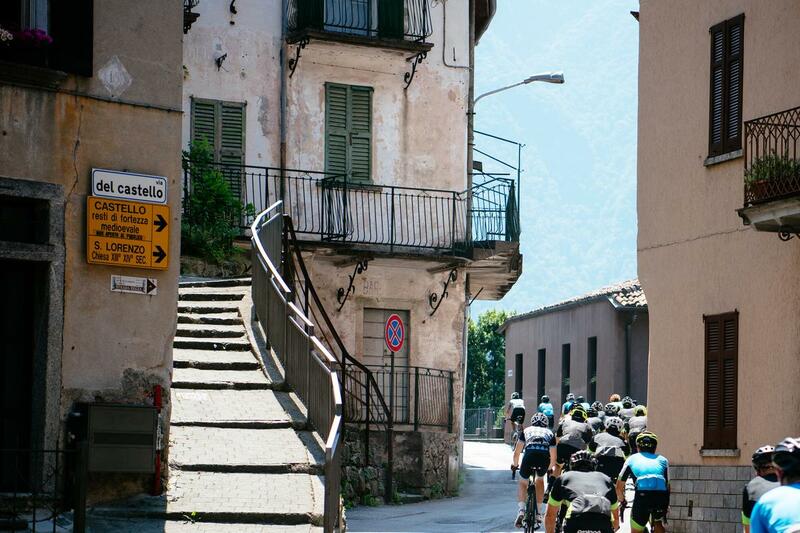 Famous for its inclusion in the season-ending Il Lombardia pro race, it's a tough climb because the numbers - 10.6km long and 5.5% average gradient - don't tell the full story. 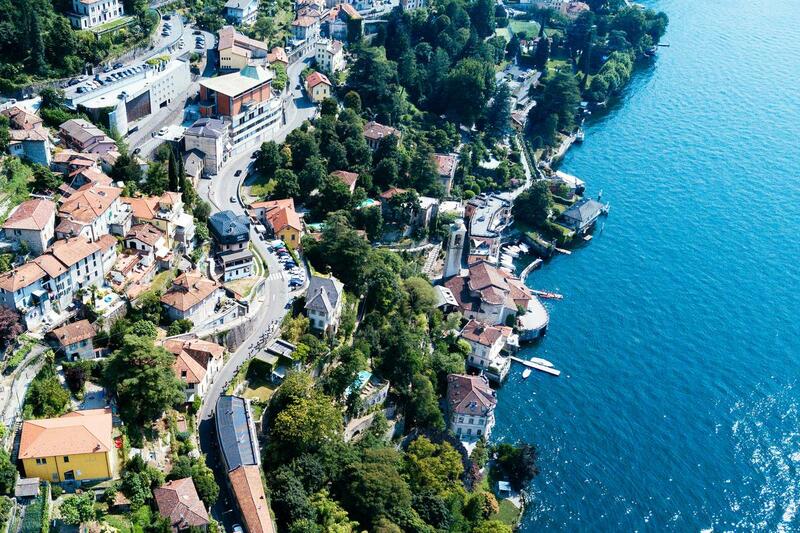 Once you've battled through the tourists in the swanky town of Bellagio where the climb starts, you're straight into the climb and it starts hard, you're immediately scrambling for your lowest gear. It's a devilish climb. Irregular in gradient it's a tough one to pace yourself the first time you ride it. It's a climb that local knowledge helps hugely, hence the reason I stick to the wheel of the ride guide with our group. For hidden in the sinuous turns and between the switchbacks are double digit gradients that have you searching for more gears and more talent. There are steep ramps early on, a 14% sign looms into view and the road visibly steepens ahead of me and my resolve crumbles. But then there's a false summit enticing you into the big ring and lulling you into thinking the suffering is over. It isn't, not by a long way. Approaching the top are several hairpins that offer the first glimpse back down to the lake and a clear indicator of how high you've climbed. The last part of the climb kicks up again. I attempt a sprint for the finish sign scrawled on the road but the pain from my legs forces me to slump back into the saddle. You'll know when you're nearing the end of the suffering when a small chapel at the summit comes into view. There aren't many climbs I've ridden that have such a magnificent prize waiting at the top. Not here a quick selfie with the col sign before zipping up a gilet and bombing down the descent. This is a must-visit for any cycle racing fan, a journey that all cyclists should add to their list of places to ride and visit. Outside the small chapel are your first clues of the importance of this climb. Busts of famous cyclists - Bartali, Binda and Coppi - are lined up proudly outside. Step inside and you enter a world of magnificent memorabilia. Hours could pass while you take it all in, and it's worth taking your time because there are some gems. The rich history of cycle racing flows heavily from the bikes, jerseys and photographs that adorn every inch of the small shrine. 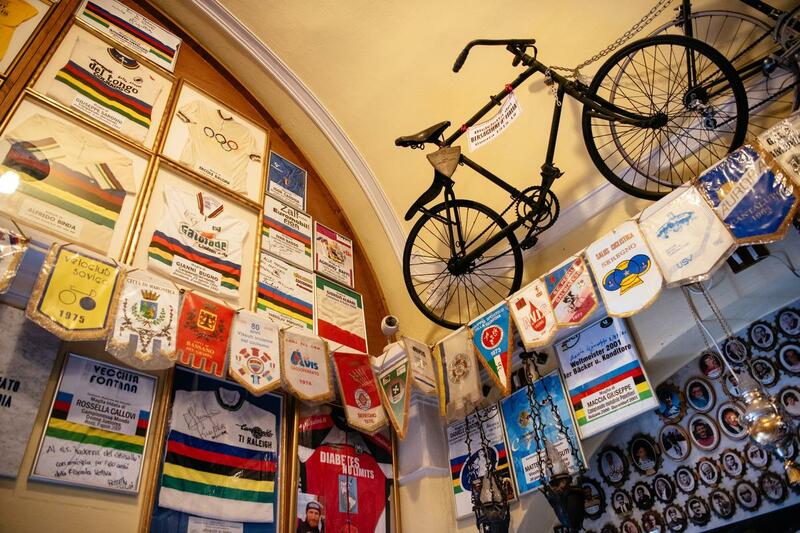 Hanging from the ceiling are famous race bikes from yesteryear - Francesco Moser's iconic 1984 time trial bike stands out - and the walls are covered with medals, trophies, photographs, signed jerseys and so much more. Soberly there's an eternal flame for cyclists who have died, a reminder of the risks of bicycle racing. 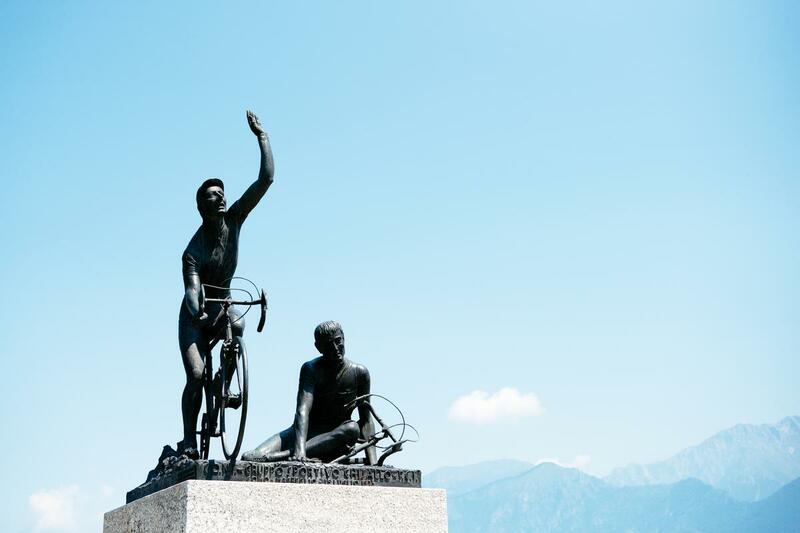 The story of Madonna del Ghisallo and its connection to cycling is a curious one. According to legend, the Medieval count Ghisallo was saved from bandits by an apparition of the Virgin Mary. The apparition became known as the Madonna del Ghisallo and once the Giro di Lombardia started using the climb in later years Father Ermelindo Vigano proposed the apparition become the patroness of cyclists. And so it became to be that a patron saint of cycling watches over you as you slog up the climb. 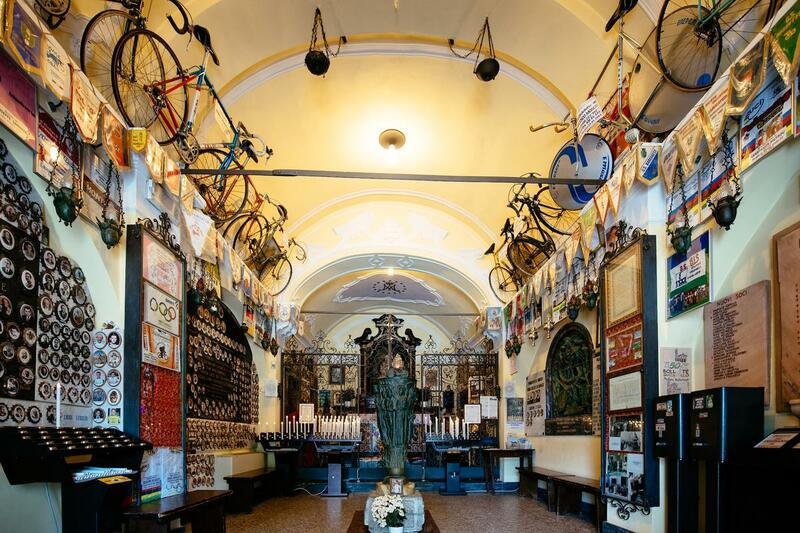 Once you've paid your respect at the shrine of cycling, step across the road into the Ghisallo Cycling Museum. Housed across two floors are classic bicycles all of the persuasions, from the earliest examples of racing bicycles right through the decades to the most recent developments. It's a fascinating insight into bicycle design, and a reminder of just how far bicycles have come since those early incarnations, yet whilst retaining the indistinguishable outline of a bicycle. 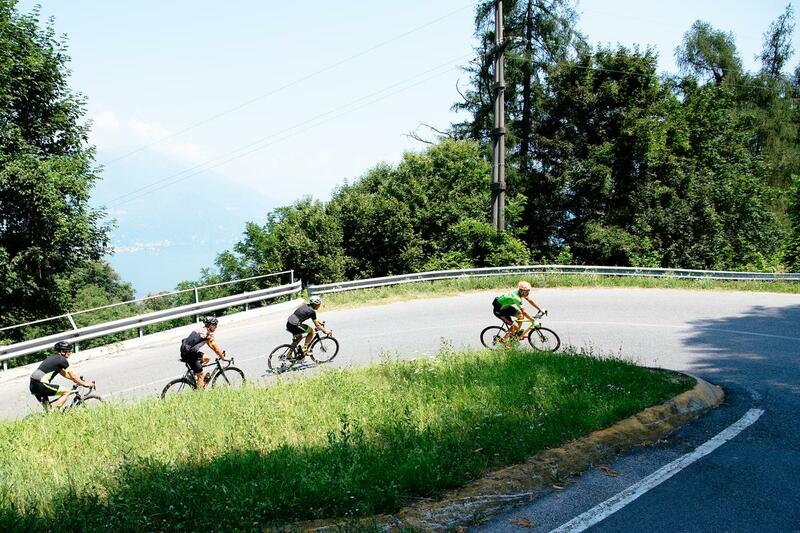 The real name of this climb is Passo del Ghisallo and it's been used by the Il Lombardia since its inception in 1905, and while the route has changed much over the years, the climb to the chapel has been a key part of the race. It's also been used by the Giro d'Italia on a number of occasions. An interesting fact for bike historians, Ghisallo was the name used by Litespeed for one of its most covetable titanium frames during the 1990s in the short space of time between the demise of steel and the rise of carbon fibre in the professional peloton. What bike to use for such a climb? Something light to help on the steeper slopes, good stiffness for attacking the flatter grades, a wide range of gears for when the talent runs out, and reliable brakes for the white knuckle descent that is the reward for scaling the climb. My bike of choice was the brand new 2018 Cannondale Synapse, not through choice; I was at the world wide launch for the new bike and was among the first people to put the new bike through its paces. 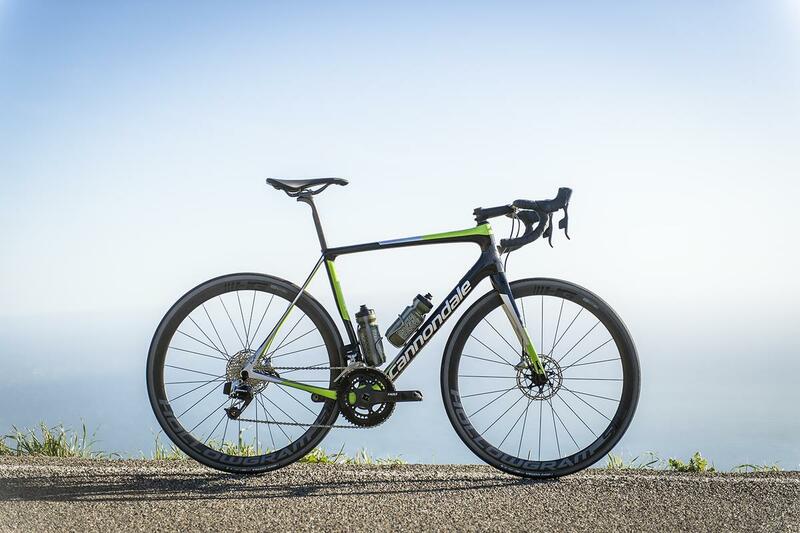 Endurance bikes might not get everyone fired up like a low and sleek race bike, but Cannondale has managed to inject the new Synapse with a bit more vigour, and the result of the stiffer and lighter frame is a bike that handles and responds in a way that closely echoes the SuperSix Evo. Hence why Cannondale markets the new Synapse as an 'endurance race' bike. The geometry, though adapted for the wider tyres and comfort focused ride it needs to deliver, isn't the most upright endurance bike on the market right now, and the new Synapse has a slightly shorter head tube and steeper head angle. A reach to stack ratio of 1.53x reveals that the Synapse is more aggressive than the Trek Domane and Specialized Roubaix, and not far off the Madone and Colnago C60. They've really managed to narrow the gap to the SuperSix Evo. It's stiffer in the head tube and much lighter than the old bike, yet they've eked out more comfort to ensure it delivers the smooth ride that many cyclists these days crave. And given the poor state of our roads, that's no bad thing at all. Wider tyres obviously help in the comfort stakes and with clearance for up to 32mm tyres, there's plenty of scope to customise the bike to your needs. The 28mm wide Vittoria tyres I rode provided a silky smooth and fast ride on the Italian roads. But the revised frame tube shapes and the expansion of its SAVE concept to a new 25.4mm seatpost and two-piece handlebar - the former flexes by as much as 13mm and the latter as much as 6mm - contribute significantly to the smooth ride the Synapse delivers on the occasional very rough and potholed Italian roads. There's markedly more stiffness compared to the old Synapse. It snaps forward with more authority and less lag when you stamp in the pedals. The increased front-end stiffness is detectable especially when you drop into corners at any speed, it feels altogether more precise and willing to follow your exact commands. It descends with the sort of capability the SuperSix Evo is renowned for. The brand new Systembar, the company's own two-piece handlebar and stem that offers aero and comfort benefits, feels nice to ride on the tops and it somehow manages to filter out a lot of the harshness that the 28mm tyres can't quite dissipate. Be interesting to try this out on UK roads. Lower weight obviously helps on the climb and the new Synapse is some 200g claimed lighter than the old model, resulting in a 950g frame weight - that's some way heavier than an out-and-out race bike admittedly but is light for an endurance bike with disc brakes. All of these changes certainly helped on the tough and challenging climb, especially in the ridiculous heat that we experienced. While any bike would have been ideal for tackling the Madonna del Ghisallo, the new Synapse was remarkably well suited. Light enough to flatter my finer efforts against the gradient, stiff enough to attack the easier sections, comfortable when the road surface got choppy, a pretty aggressive riding position, and disc brakes for the equally testing descent that awaits anyone that pedals past the small chapel. On first impressions - and the brevity of the test ride prevents me from really going into too much detail - the Synapse impresses. It retains the comfort focused ride it has always offered but much improved, thanks to wider tyres and a new SAVE seatpost and handlebar, while the stiffer and lighter frame makes it more dynamically engaging. It's a tricky balance to get right, but in ramping up the frame stiffness to provide an exciting and fast ride to satisfy those customers who would naturally lean towards the SuperSix Evo, yet delivering more comfort for soaking up vibrations from rough roads, I reckon Cannondale has got it just right. It sure has put the race into endurance. I think the Synapse is going to appeal to a much broader audience than before. The Cannondale Black Inc Supersix, ridden and reviewed.